Vertical vibrating conveyor. 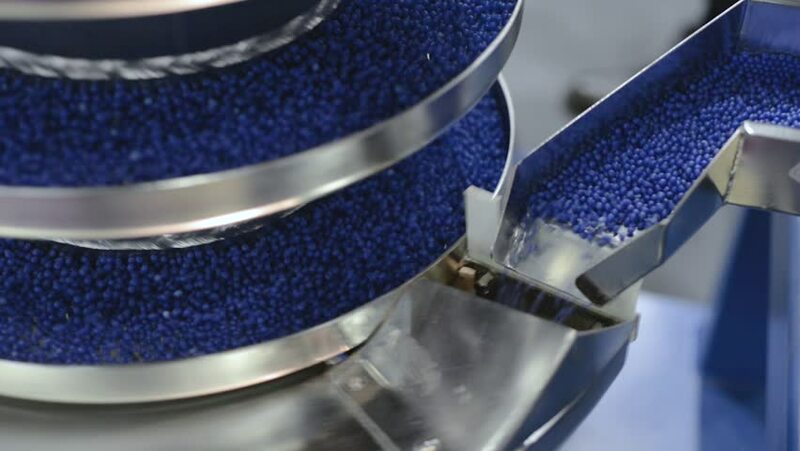 The blue round granules move up the vibrating screw conveyor. hd00:163D printer build model plactic bar shape, Lockdown. hd00:13Brown classic men's shoes with laces, close-up. Dolly shot. 4k00:12Gloved hands place curd into white molds under steel surface.